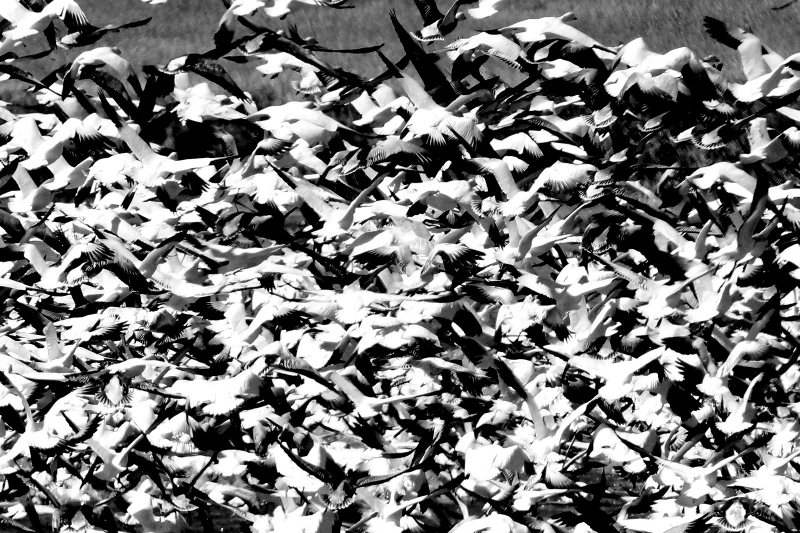 I wanted to show the concept of the mass of snow geese as they lift off from a field during their spring migration. It is not just the sight of them, but the sound they make that is unforgettable. I always wonder how do they keep from running into each other? It is a concept of mass movement.